This book will give you a rounded and complete idea of how to control exposure. The book isn't DSLR or analog specific and covers aspects of both. It explains the three components to exposure, which are ISO, aperture, and shutter speed. Concepts such as depth of field and a quick overview of Ansel Adams' zone system are also covered. The focus is mainly on how to get a great exposure from the start, but there are also tips on how to fix an overexposed or underexposed photo. 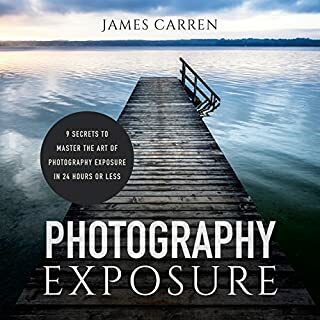 this book was very clear on what exposure is and tricks to achieve a good exposure. Whether it's among colleagues at lunch or an audience of 1000, a leader's role is to move and inspire others. It's not only the big occasions that test a leader's mettle, but the little ones as well - in a casual conversation in the elevator, in phone calls, or one of many incidental, seemingly "insignificant" interactions in everyday work life. Written by one of the world's leading communications coaches, Speaking as a Leader shows you how to make the most of your daily communications. It benefits me in strengthening my speech. 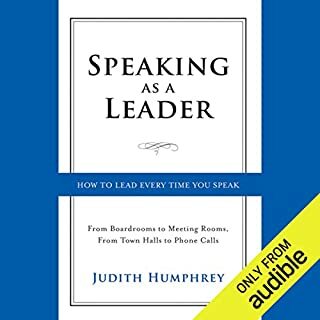 If you feel like a leader but your peers do not have the same perception this book helps you convey your inner leadership. Just remember it's not nearly as effective if your peers do not know it. Inspire them into believing! CEOs or management need not to be overly confident and unteachable. No such thing as too humble to better yourself. Grab this book and run with it! The narrator's voice is good but raspy, but the messages delivered are great. The first edition of this book has been widely adopted as a guide for consultants, project leaders, staff experts, and anyone else who does not have direct authority but who is nevertheless accountable for results. 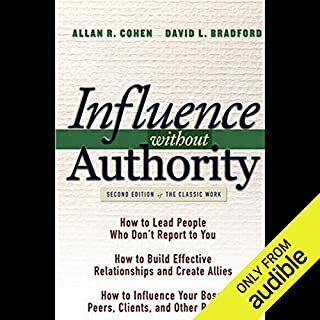 In this revised edition, leadership gurus Allan Cohen and David Bradford explain how to get cooperation from those over whom you have no official authority by offering them help in the form of the "currencies" they value. This is a very good book with lots of details on how to work with everyone you may work with. you like myself probably have the one colleague that is difficult... this helps understanding how to influence even the hardest of people. Successful couples know that harmony and happiness in marriage are not achieved by love alone. There is the other side of the Ephesians 5:33 equation - respect. Yes, a wife needs love. But a husband needs respect. 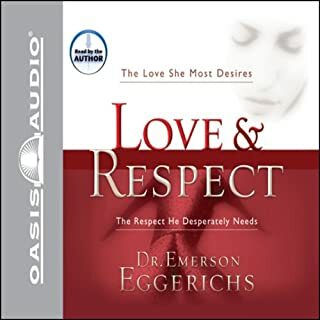 Based on extensive biblical and scientific research, Dr. Emerson Eggerichs reveals the secret to couples meeting each other's deepest needs: Without love she reacts without respect, and without respect he reacts without love and a destructive, vicious cycle begins. This is a very helpful book in understanding each other. This should be read and understood before taking on full commitment of marriage.